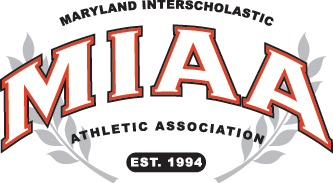 Playing in front of the home crowd, Friday night at Blakefield, Loyola led from wire-to-wire in scoring an impressive 86-64 MIAA A Conference/Baltimore Catholic League victory over John Carroll. Senior Tryllian Young led the charge for the Dons with 23 points and junior Mitch Fischer added 20. The Dons started quick, opening a 27-17 lead after one quarter and then stretching the margin to 18, at 47-29, at halftime. John Carroll battled back within 10, in the second half, but could get no closer. John Carroll was led by Tyson Commander, who scored 21 points, and Jalen Bryant’s 18 points. John Carroll hit 13 threes in the game. The Dons (13-9 overall) improve to 7-4 in the A Conference where they sit in third place in the Red Division. The Dons are also now 5-5 in the Baltimore Catholic, where they currently sit in fifth place. John Carroll (3-15 overall) is 1-7 in the BCL and the MIAA A.